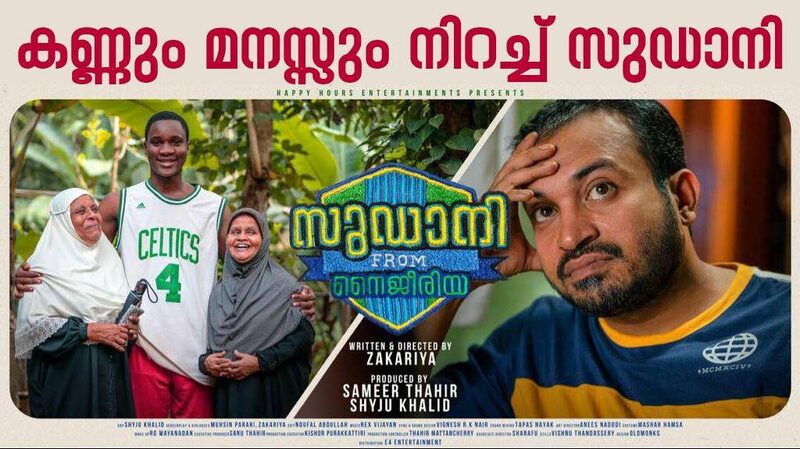 Heartbreaking, hilarious and hopeful by turns, ‘Sudani from Nigeria’ is a glorious triumph whichever way you look at it, be it the exemplary performances, the proficient scripting or the competent direction. Words would probably do little justice to this gem of a film, that should not, at any cost be missed in the theatres. Bliss. I wouldn’t be surprised if this overwhelming emotion keeps raging at the back of your minds, as the final scene of debutante director Zakaraiya’s ‘Sudani from Nigeria’ draws to a terrific close. Because there is no getaway from the sentiments that it outlines or the bountiful of laughter that continue to reverberate across, from its poignancy and pathos and from its joyous celebration of the miracle called life. 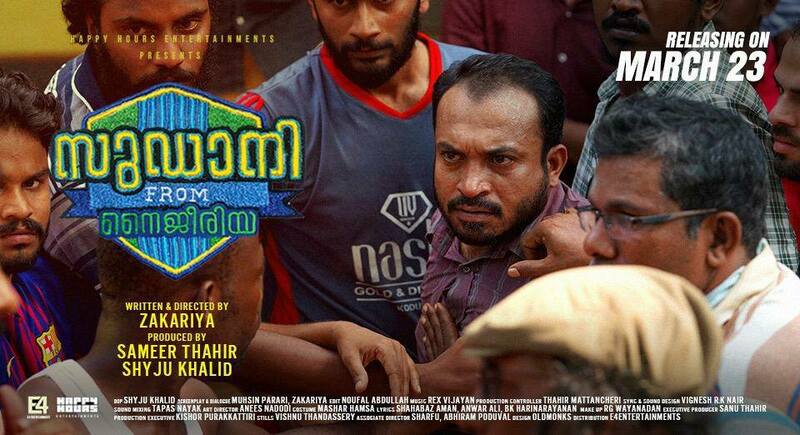 Majeed (Soubin Shahir) is a small time football team manager based in Malappuram, who is all excited at the way the Sevens tournaments are headed the current year. His star player Samuel (Samuel Abiola Robinson), is a young Nigerian towards whom he holds a special liking, but Majeed’s hopes of a spectacular win are dashed when Samuel ends up on bed, fracturing his ankle and spine in a freak accident. The refinement is what makes ‘Sudani from Nigeria’ the spectacular experience that it is, and there is hardly an awkward bellow to be heard in this outstanding film. 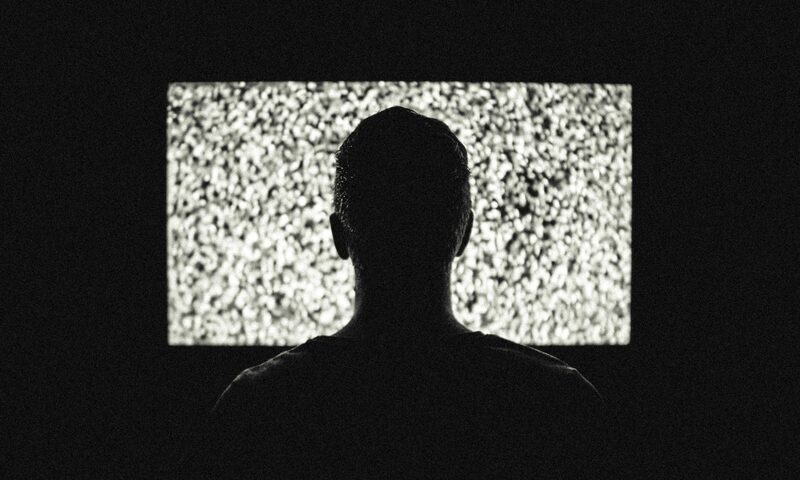 Yet, the number of thought instigating moments that it so deftly instils into its inspiring narrative is to be seen to be believed, and Zakariya’s film avows that there could be splendour in subtlety, and majesty in delicacy. It’s baffling and so beautiful to see something as basic and essential as language dissolve into irrelevance when a hand that is reached out in hope is held close by one with equal earnestness. There is no holding back the innate human virtue that so glibly transcends the barricades laid out by language, and only love, of the rawest, purest kind, remains. Majeed’s mother Jameela (Savithri Sreedharan) takes to nursing Samuel in all earnestness, and is keenly joined by her friend next door, Beeyumma (Sarasa Balussery). An amused Samuel thankfully mumbles acknowledgements in carefully worded English, almost all of which is lost on the much concerned and compassionate older women, who busy themselves tending to him, and incessantly conversing with him in unadulterated Malayalam. Majeed himself is a simple man, with an untainted heart who refuses to abandon Samuel, during days of distress. With almost an empty purse stuffed into his back pocket, he hopes of making it big someday and even marry a girl, as dim as the prospects presently seem to be. A blazing streak of optimism is what keeps the buoyant spirit in him alive, and drawing a radiant comparison to the hopefulness that a passionate football lover retains until the final whistle is blown, this man hurriedly strolls on, assuring himself and the ones around, that all things will eventually fall into place. The political statements that the film makes are equally decorous, and when Samuel admits that he nurses much bigger dreams than Majid, you pin back your ears in anticipation. Visibly lost in a land somewhere far away, the boy murmurs that he dreams of living in a better world, distant from all the sorrow, discontent and gloom that he had watched his family waddle about in, back in Nigeria. And this certainly wouldn’t remain a fevered reverie that the young Nigerian boy merrily lets himself loose in, for ‘Sudani from Nigeria’ accentuates that amidst the extensive stretches of dry, dust ridden lands of strife and discord, there does lie lush green patches of virtue that humankind would find refuge and solace in. Writers Muhsin Parari and Zakariya have done wonders with the character development, and I could vouch that all of them have been so adroitly sketched, that there is hardly anyone who looks out of place in this elaborate culture portrait. Take Majeed’s friends for instance, Latheef (Navas Vallikkunnu) who drives a rickshaw when he isn’t accompanying Majeed on his frequent bride hunts, Kunjippa (Abhiram Pothuval) who believes that he has a much bigger purpose in life than to settle petty electricity bills or Rajesh (Lukman Lukku) who sees to it that his seemingly harmless statements have a suggestive tang to them, driving his listeners into uncertainty and puzzlement. There is a sub track that involves Jameela and her second husband (KTC Abdulla), an old man with a perpetual smile who holds a labyrinth of sorrows within. In a stunning, sensitive sequence at the climax, Parari and Zakariya giftedly stitch it up with the rest of the piece, pulling out another of those clouds with a silver lining from the skies. 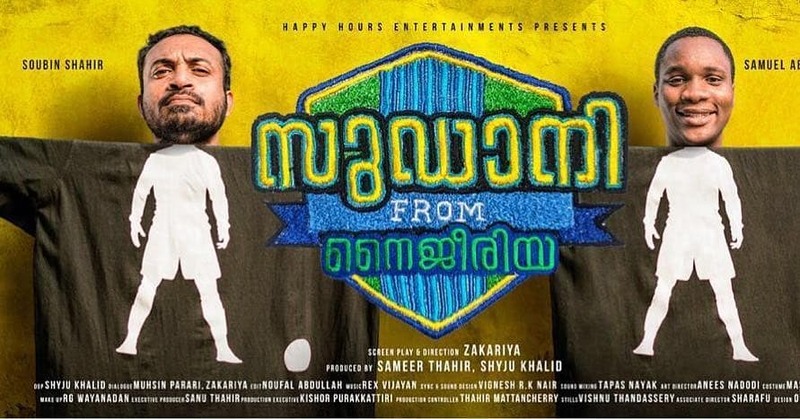 ‘Sudani from Nigeria’ offers the most unsullied laughter that I have experienced in recent times, and there are two scenes in specific that should be pointed out. The first one involves Nair, a former Kalari Aasan paying a visit to the bed ridden Samuel, and this septuagenarian with a sombre look brings the house down in a matter of minutes. When Majeed and Latheef are summoned to the police station by the Sub Inspector, the duo is horrified, but the culmination of this fantastic scene is one that cannot be remembered without a guffaw or two. Equally imposing are the concluding moments of the film that would crush you to bits and leave you misty eyed for sure. As Majeed and Samuel embrace, and as the audience breaks out into a thundering applause, Zakariya holds up a tiny prism, through which the world suddenly looks brighter and better, where innocence and virtuousness haven’t died out yet, and where the silhouette of a rainbow has just about made an appearance. I wonder where it is that they unearth these terrific actors from, and while Savithri Sreedharan and Sarasa Balussery are bound to emerge the crowd favourites with their highly endearing performances, Navas, Abhiram and Lukman seem and sound tailor made for their respective roles. KTC Abdulla in a brief role, would be remembered forever for a wave of his hand, while a whole lot of fresh faces add in their priceless bits to the film. Which brings us to Soubin, who had not long back made a hushed start, and who had since then, steadily made his way up the ladder. Majeed is without doubt his best act as yet, and it’s a pleasure to watch his subdued portrayal of an unfussy man who equally loves football, and the world that he lives in. Samuel Abiola Robinson, as Beeyumma rightly remarks, has a heartening smile without doubt, and the young actor effectively brings in the susceptibility of a man rendered helpless on a foreign land. The Shyju Khalid magic is at work again in ‘Sudani from Nigeria’ as the ace cinematographer generates striking frames throughout. The flamboyant musical score by Rex Vijayan and Shahabaz Aman delightfully blends in with the account. 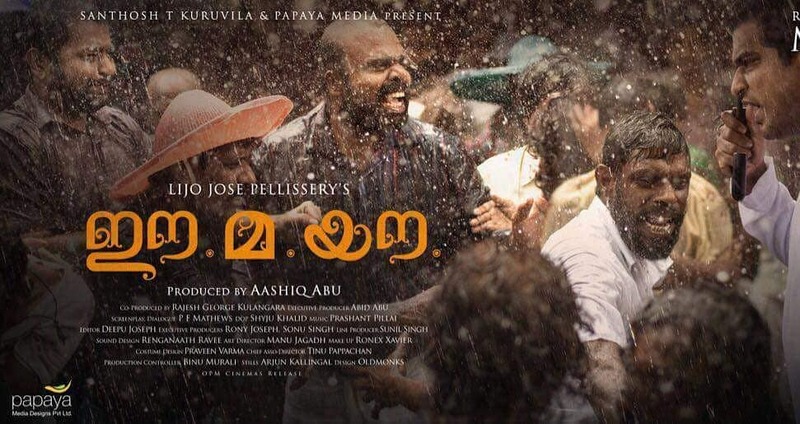 I think this film really confirms the rise of Soubin Shahir’s career in Malayalam cinema. From a small-time comedian to a lead actor and director, it’s a phenomenal journey. Can’t wait for Sudani from Nigeria to release in Mumbai. Thanks.